Today was the last fishing day of the 2011 season. It looked a pretty hopeless day as it had rained all night, and continued in the morning. The river was very high and raging and it was obviously going to be difficult to get a fly down to any fish. 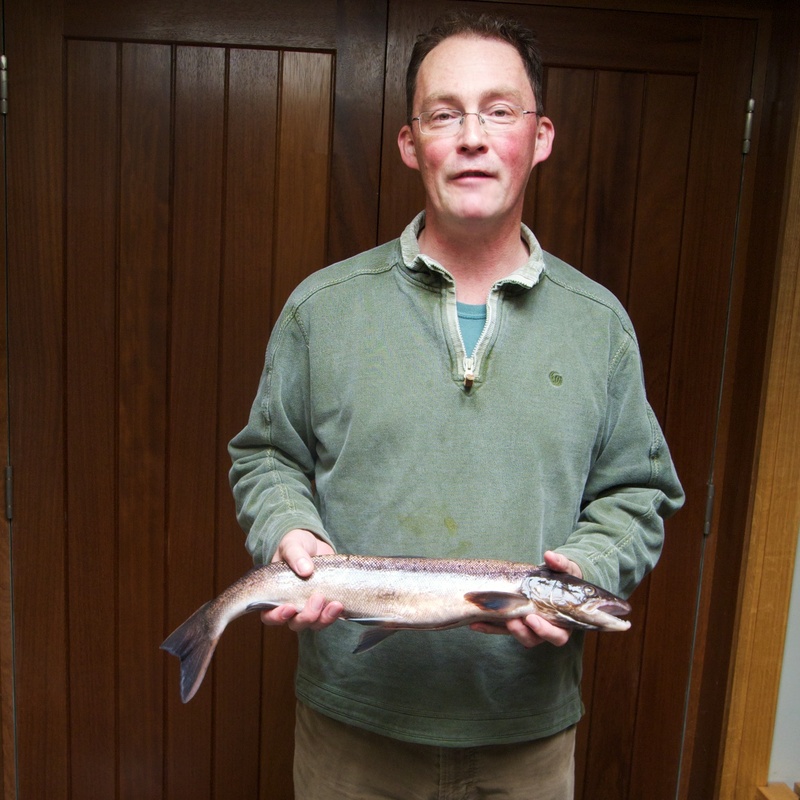 However our guests in the Manse had yet to catch their first salmon and were keen to give it a try. Working his way carefully down the river and with the natural fisherman’s instinct (I’m not making this up) for where fish might be seeking refuge from the current, Gordon kept trying with a sink tip and a heavy tube. After a bit his efforts were rewarded with a 4lb grilse at the edge of the stream which he caught and landed himself. As it was his first ever salmon, he kept it. It had not just arrived in the river, but it was not too coloured. This entry was posted in Uncategorized and tagged Croick, First salmon, Fishing, salmon. Bookmark the permalink.